Nugent4nil had the most liked content! Arthurlie and talking baws in no particular order. Sorry Jimbo, Nil by Mouth to help fund their free education in schools scheme which I think is absolutely fantastic. Thanks BP, wee ginger Gordon sent me the Kilbirnie names so blame him for the spelling. Jim Mariner is part of my presentation group, the sixteen teams at the moment are as follows, PS I have three teams on stand by in case any team pulls out, Arthurlie Refrew Kilbirnie Ladeside Largs Thistle Pollok Neilston Johnstone Burgh West Select (which has some ex east region and ex senior players? ) 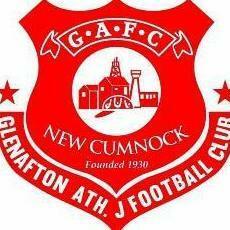 Paisley (ex armatures and some ex seniors) Glenafton Athletic Beith Port Glasgow Auchinleck Talbot St Anthony's Scotland Seniors Clydebank Honestly blown away with the squads to date, loads more to come regards what we plan for the day including possibly the best programme ever produced. The players are paying five quid to play and its four quid to come see, that said its five if you have a shot on the 50/50 how many goals are scored, as in the winner gets half of what we raise from that. IMO none of those three will win, Glencairn are strong at home, Largs have the final to think about and they are safe, Pollok are up and down but Hurlford is always a hard place to get a result. Id go for Beith, St Ants, and ST Roch's personally. Cheers thanks and all the best for the rest of the season. Cracking set up you have there and lovely people! Burst pipe or something which is causing issues with the corner of one side of there pitch Was speaking to someone close to the club today, seems they were gutted. had set up an area in the car park for the Candy support but there was an issue with a pipe that was fitted recently and it either backed up or burst and flooded the park. 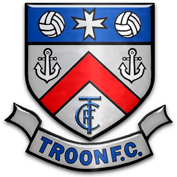 Obviously there is history between the clubs so if they are having to segregate fans etc its the same plava for 200 as it would be for ten so theyve probably took a big hit losing todays game as I wouldnt imagine as many Candy supporters will travel on a Wednesday night, that said I wouldnt be surprised if there were more. Enjoyed my visit to Recreation Park today apart from the result obviously, that said the correct result was done. Hats off to the club and those involved as the last time we were there the park was a bog, the pitch looked top class, the improvements around the ground also are a credit to all involved. Only had three issues, firstly the group of 'grown' ups I stood next to, great bunch but one guy ..... FFS I guess his wife doesnt let him talk in the house as he never shut up all day! Secondly I popped in for a pie, a lovely 'older' lady asked if I wanted a Killie pie, her younger helper explained it was a Kilmarnock pie, they argued over what it was called so I sat on the fence and asked for a pie that wasn't just mince and it was top class. Finally, I couldnt find a list of the days teams so could anyone help me out with the 1-11 of Darvel today? Thanks again for the great welcome,I took a few pictures that I have stuck on Facebook and tagged Recreation Park that, if any use, your more than welcome to lift and use. I 'think' that certian clubs were opposed to doing away with it as they were worried about losing a big gate, maybe the restructuring of the groups might have changed a few minds now? In many cases because it was so late in the season clubs have to bring in players to make up squads as some had moved on etc. I have said for years it should be a season opener for league and cup winners, so imo this is a great move. I 'think' between us we achieved what we set out to do.... all for the better sir! Honestly looking back I cant believe I stood against you Kennie, what you have done and are doing is nothing short of superb, thank you! That's a very fair point regards them being more street wise but how long have those two clubs being building, and improving, as a squad compare that to Arthurlie having one player from last season and improving as it goes. Glencairn pumped us at the start of the season so to be disappointed in only getting a point is IMO at least a sign of how far we have come as the season has progressed. Think back to the start of the season when avoiding relegation was a hope and now some are moaning that we aren't certs to go up?